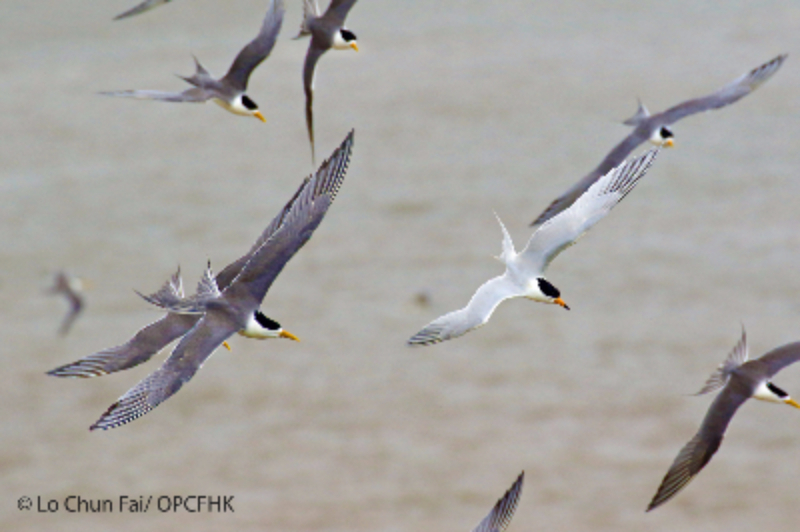 OPCFHK, together with Hong Kong Bird Watching Society and BirdLife International announced the success of the 3rd year tern colony restoration project for the Chinese crested tern (CCT). At least 52 CCT arrived and stayed in Jiushan Islands, Zhejiang Province, while 25 breeding pairs were formed and at least 16 chicks fledged. CCT, a Critically Endangered species listed in IUCN Red List of Threatened Species, were assumed extinct for six decades. The estimated population last year was less than 50, and thanks to this joint project, the number was increased, but still less than 100. Collaboration between OPCFHK and BirdLife International started since 2008 with educating students and the public for not collecting seabird eggs for consumption, whilst workshops were organised to plan for the tern colony restoration project. 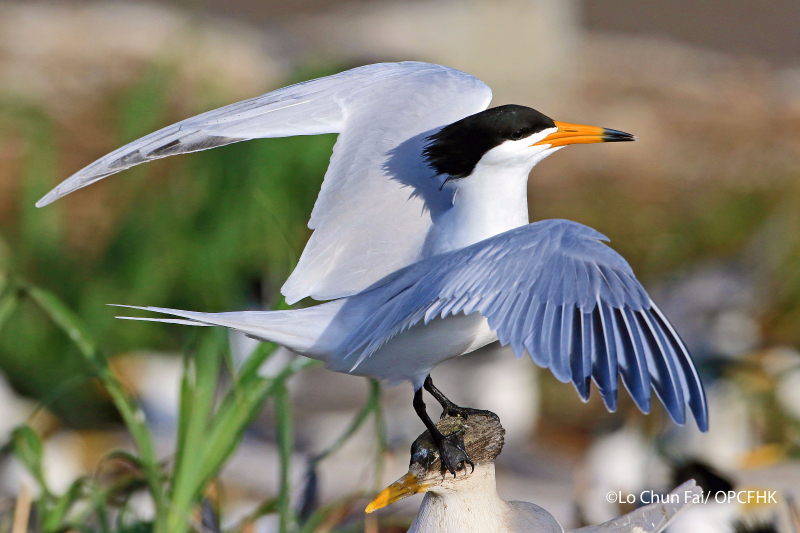 Decoys and sound playback system were deployed to attract crested terns to breed on the island. Mr. Simba Chan, Senior Conservation Officer from BirdLife International has stationed on the islands between May to early August in 2014 and 2015 to monitor the breeding activities. 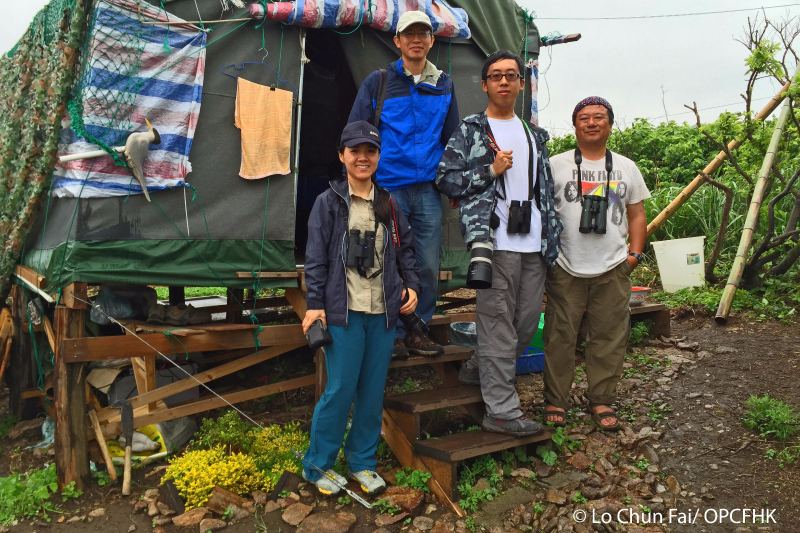 Three students were sponsored under OPCFHKâ€™s University Student Sponsorship Programme to join the field work for two weeks, which has proved to be a once-in-a-life-time experience to witness this significant milestone of seabird conservation in China. We hope this will lead to young scientists joining important works like this. A Chinese crested tern (white feather and bill with black-tip) gliding amongst the Greater crested terns. Photo taken in Jiushan Islands. Lo Chun Fai (2nd from right), student sponsored by OPCFHK, together with Principal Investigators Dr. Chen Shuihua (2nd from left), Zhejiang Museum of Natural History and Mr. Simba Chan (right), Senior Conservation Officer at BirdLife International Asia Division. And new for this year is the banding of 31 crested terns with numbered colour bands to enable individual identification when they are sighted again. In 2015/16, OPCFHK provides three years of support to BirdLife International, to enable continuous monitoring of breeding grounds, and starting a new study on the migration of CCT and surveys of potential wintering sites in eastern Indonesia. A video taken in Costa Rica showing a straw being removed from the nostril of an Olive Ridley turtle has received worldwide attention. It took about 8 minutes for the researchers to remove the 10-12 cm plastic straw. The turtle very likely ate the straw and regurgitated the straw which ended up in the wrong passageway. 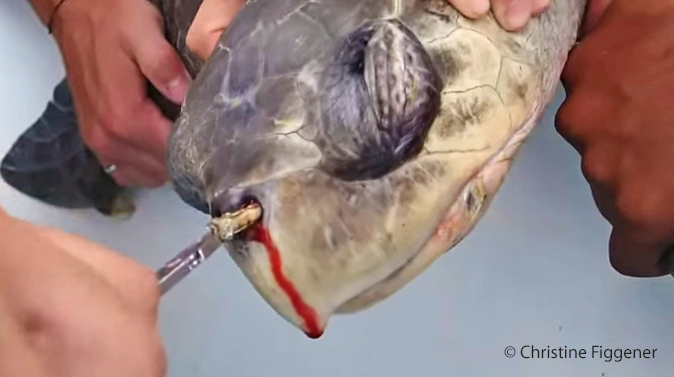 We usually underestimate how a plastic straw affects our marine friends. Can you imagine the pain this turtle was enduring? 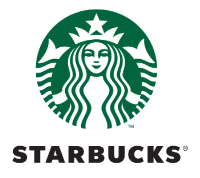 We enjoy our cold drinks for about 15 minutes, but it took several hundred years for the plastic straws to decompose. How many marine lives will be affected by the one-off plastic items in their lifetime? To better protect our oceans and marine friends, please say â€œNo Strawâ€ when you order your next glass of iced tea. Just grab the glass and drink from it directly. Itâ€™s so cool drinking without the fear of threatening wildlife. Will you start doing this from today? Reduce one-off plastic consumption. Reuse and dispose them properly if it cannot be avoided. 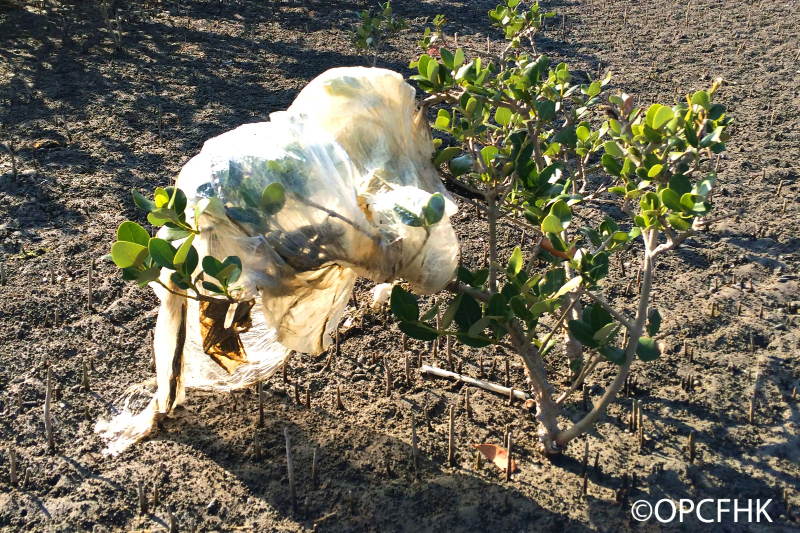 We donâ€™t want them end up entangling mangrove or being swallowed by turtles and whales. 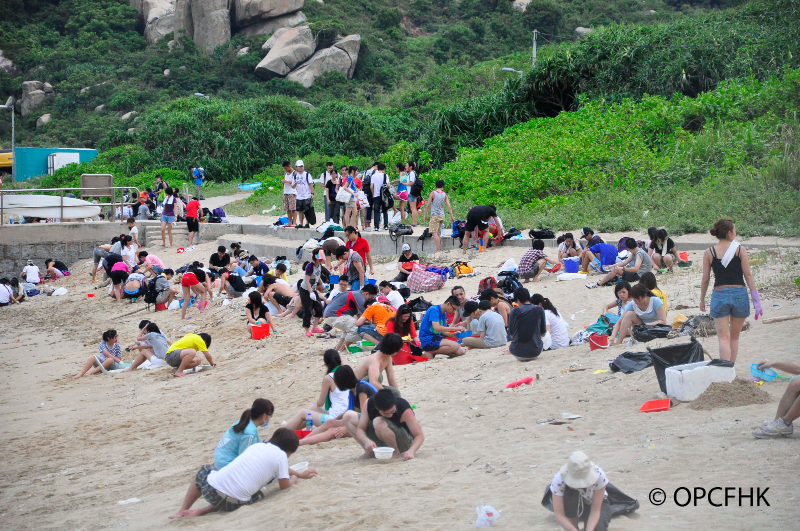 People volunteered to clean plastic pellets on beaches after the spillage from cargo during a typhoon in 2012. The pellets could be very harmful to the marine ecosystem as besides ingestion which may cause blockage to the animalsâ€™ gastrointestinal tract, the toxins adsorbed on surface of the pellets may bioaccumulate and affect marine life higher up in the food chain. Every staff in OPCFHK strives to spread conservation messages to a wide audience, from the people we meet, the company we work with, the students doing group projects, to the media during interviews and press conference, as well as the audiences enrolling for public talks. As our Chairlady, Ms Judy Chen is speaking up for our animal friends who cannot speak up for themselves, in her weekly column on Metro Daily News. 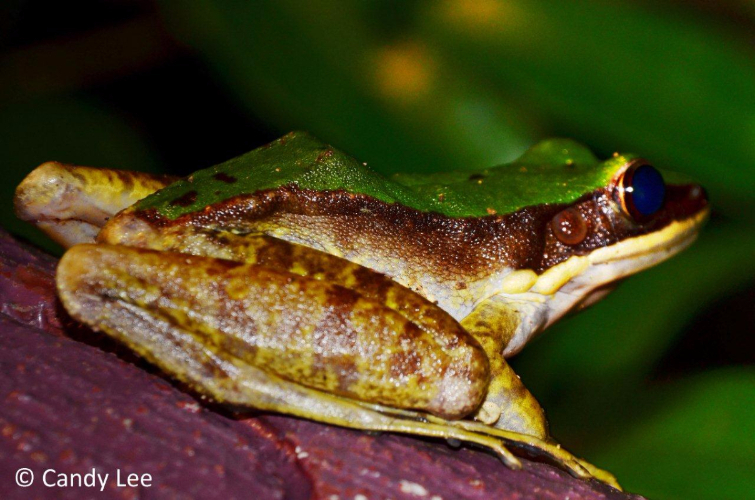 Recent stories include the Delacourâ€™s langur, a critically endangered primate in Vietnam, and the rescue of 3,000 Palawan forest turtles in the Philippines. Check out our website for the past issues. 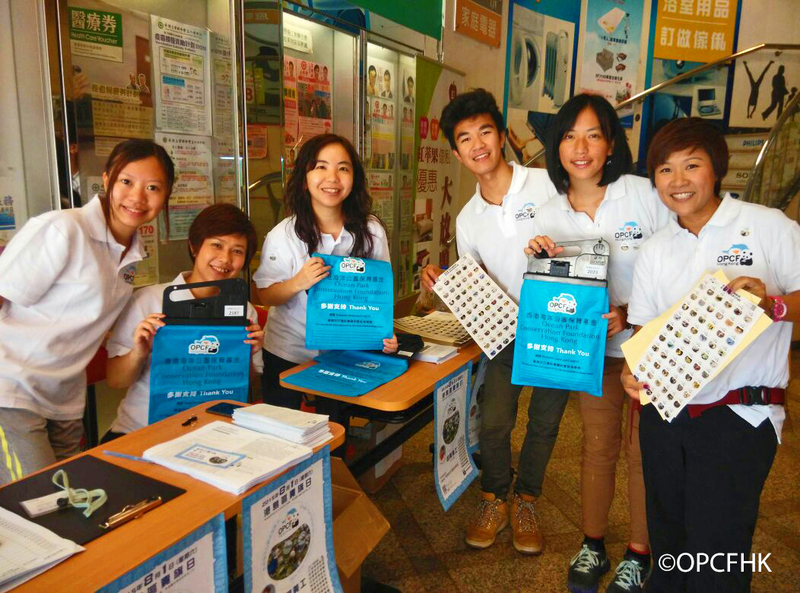 More than 2,000 volunteers joined us on the Hong Kong Island Flag Day on August 1, 2015. Thank you so much to all volunteers and supporters for helping local wildlife conservation. Proceeds will go to support our cetaceans, horseshoe crabs and reef fish conservation efforts in Hong Kong. The flags were designed under the theme â€œSave Wildlife, Save our Futureâ€ where 60 photos of animal species across Asia were selected. You could know more about their names, conservation status and threats on our website. We would also like to thank you sponsors and supporters. Our dear Friends of the Foundation led by experienced guides once again visited our animal friends in Tai Tam Country Park on August 22 in the evening. Every time when we came, we could always meet the Green Cascade Frog. This species has a very bright back in grassy green with its lateral side and limbs in pale brown, fitting seamlessly in its natural habitat. Despite its perfect camouflage, our green little friend loves to rest on rocks and branches with no concern of being discovered. In our visit, we found one displaying itself on the handrail next to the stairs in the most diva-like way. Sometimes we cannot help but wonder whether these greenies would be annoyed by passers-by. Oh, we have almost forgotten that they would secrete poisonous fluid in milky white with strong odour. It is indeed a secret weapon worth worrying. In night safari trips, we would also have different encounters with other unique animal buddies, you can know more about them by clicking on this link. We need your help to sustain our efforts to conserve wildlife. Join us as our member of the Friends of the Foundation (download application form) to help us fund more projects and save more species. Together we make a difference! 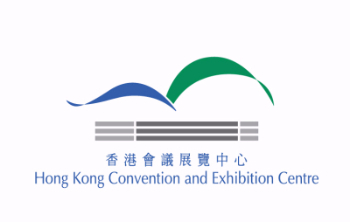 Â©2015 Ocean Park Conservation Foundation, Hong Kong, All rights reserved.